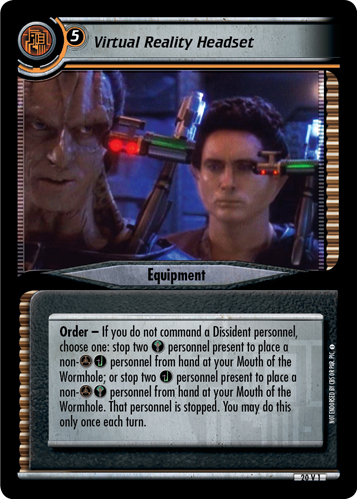 Order - If you do not command a Dissident personnel, choose one: stop two personnel present to place a non- personnel from hand at your Mouth of the Wormhole; or stop two personnel present to place a non - personnel from hand at your Mouth of the Wormhole. That personnel is stopped. 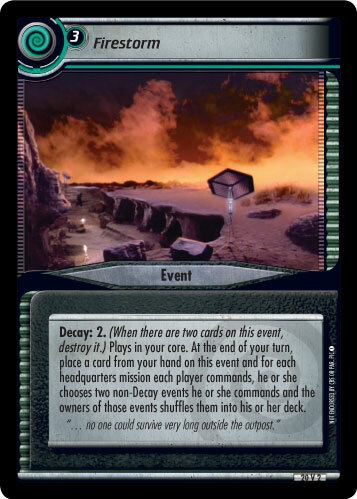 You may do this only once each turn.